Welcome to a forest filled with water. In the wet season, the swollen Amazon becomes a looking glass into another world, where pink dolphins swim like something from a dream. In Peru they are called bufeo colorado—the ruddy dolphin. Their color ranges from white to gray to a vivid pink. These astonishing mammals, actually river-dwelling whales, easily navigate their way through the complex, hazardous world of the Amazon rain forest. Encantado invites readers on the adventure of a lifetime as we travel into one of the world’s most lush and beautiful jungles in search of these magical creatures. Our guides include scientists and researchers as well as the local people, who have lived with the encantados—the enchanted ones—literally at their doorsteps for centuries. 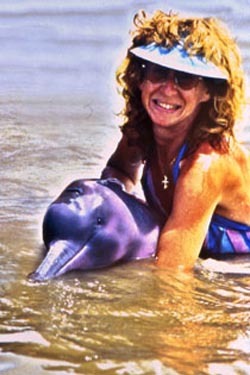 Our main guides are the dolphins themselves. They lead us into myth. They take us back in time to a prehistoric era. They alone can show us the depth of the Amazon’s beauty, diversity, and magic—and help us to keep our planet rich and whole. Teachers! 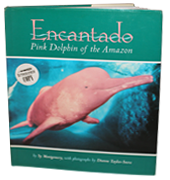 Take your class on an expedition to the Amazon to learn more about pink dolphins, other animals, geography, writing and more! Use these activities to enrich your students’ learning.